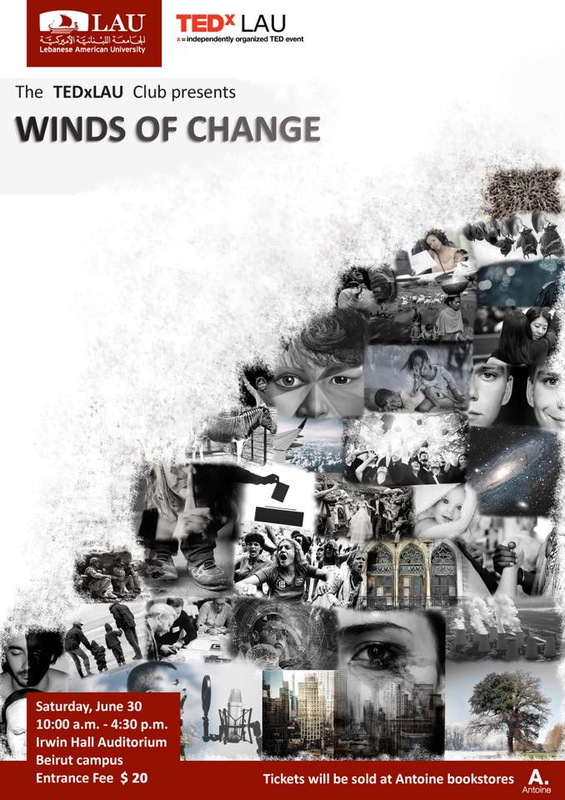 ‘Winds of Change’, TEDxLAU’s main event theme this year, will take you flying through time with 13 amazing speakers, each with their own story of change. The main event will also feature performers, screening of TED talks, and an interactive social space that will prepare you for what will be an event to remember. Join us on Saturday, June 30, 2018 from 10:15 a.m. - 4:30 p.m. Be ready to experience the onset of your change, or perhaps the comfort of satisfaction just the way you are. TEDx is an independently-organized event which provides speakers and attendees with the opportunity to engage in a TED-like event, following the successful international TED platform for ideas. TEDxLAU began in 2012 as the first university event in Lebanon and has pulled off four successful main events so far…and is out for more! One ticket grants you access to our full day of events as you engage with 13 speakers, a social space, and different performers. A ton of activities await! Tickets are sold at 20$ and cover food, coffee breaks, social space activities, and lots of goodies! You can reserve online using this link. Registration starts at 10:15 a.m.
Theatre doors close at 11:00 a.m.
Stay tuned via our Facebook and Instagram channels as we’ll be sharing more details about our speakers over the next few weeks.